All participants and volunteers need to park at Coupeville Elementary School and take the free shuttle to the park for this event. (Directions below). Coaches with vans carrying large teams or with a full car of runners will be allowed to drop their team members at start. 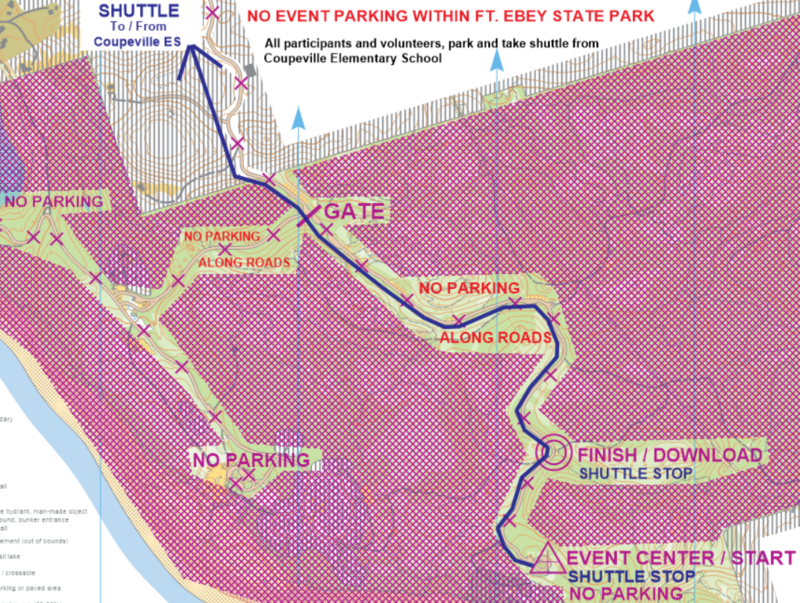 Coaches will then need to return with their vehicle to Coupeville Elementary to park their cars/vans and take the shuttle back into the park. Start and Finish are in a different location from past meets. Plan ahead for travel and logistics time. Expect a minimum travel time of 1.75-2 hours from the time the ferry leaves the dock at Mukilteo for you to arrive at the start area. 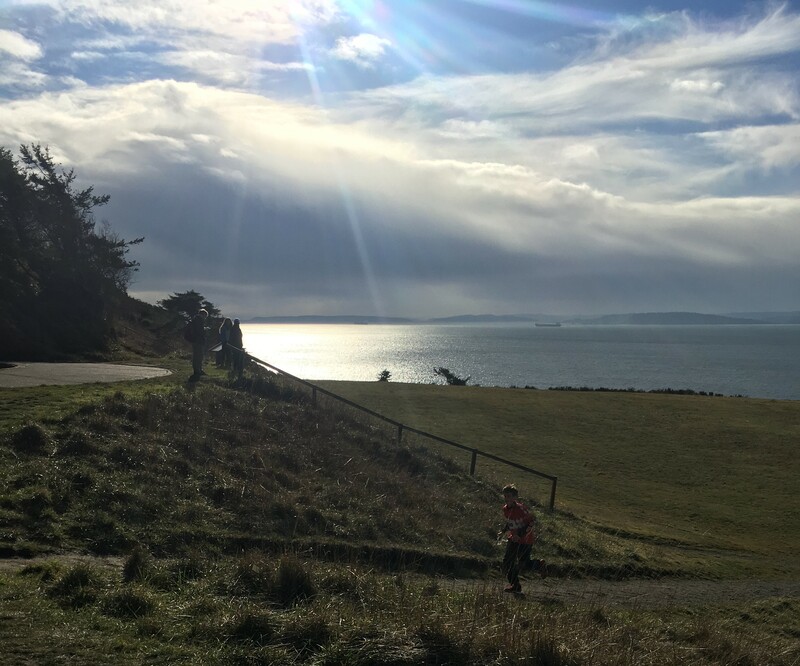 Any participant who bypasses the no parking in the park mandate and parks at the gun battery or any participant who gets dropped off at the gun battery and walks to start will be disqualified, as this area is part of the course this year. Ft. Ebey will challenge you to read topography skillfully by paying close attention to large depressions (also known as Kettles) on the map. Courses may be a bit longer than previous meets this season and involve significant climb. There will be opportunities to navigate off-trail while paying attention to the topographic detail of the terrain. Some areas of the woods mapped in light green are fairly easy to pass through compared to other western Washington maps. 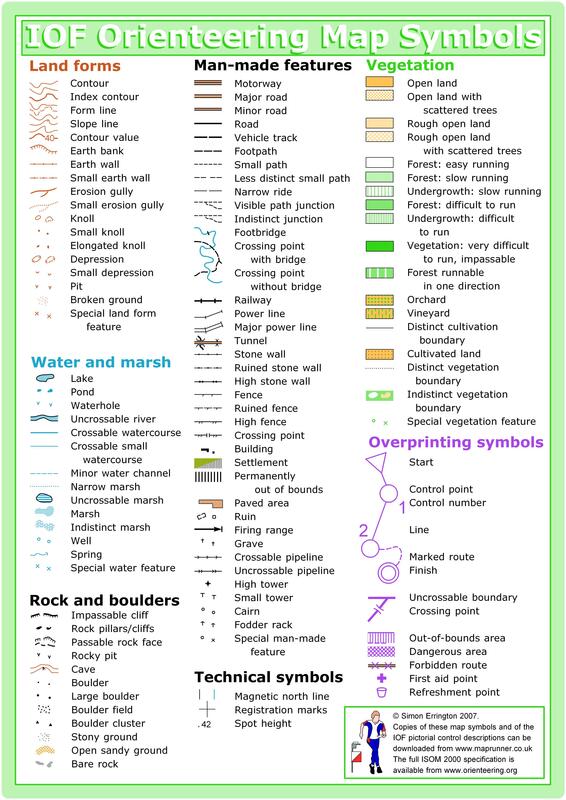 There are several sections of Out-of-Bounds (OOB) areas on the map and courses may pass very close to these areas. As always, please respect OOB and stay out of these areas. Come test your navigation skills at Fort Ebey on beautiful Whidbey Island! Students with a season pass, use the button above to RSVP for this meet by Tuesday January 22 at Noon. Online pre-registration closes Thursday January 24 at 9pm. Day-of-event registration is by cash or check only. Off-Site Parking: will be at Coupeville Elementary School at 6 Main St in Coupeville. Parking is in the back of the school. Coaches are encouraged to drop their teams and then return to Coupeville Elementary and park their cars and take the shuttle bus back. If you are dropping off individuals in the park, check this staging map for details; the event center is not at the gun battery this year!